Is Hard Luxury Finally Making its Way Online? The world luxury market is still a growing one, with online sales driving ahead. Ecommerce is, at last, being taken seriously by the industry, particularly now that online sales represent a healthy chunk of the market. Soft luxury, which includes items such as leather accessories, bags and designer clothing, has adapted particularly well to eCommerce, and it’s thought that 9% of soft luxury purchasing now happens online. But hard luxury, those timeless items such as jewellery and watches, has not adapted as quickly. Less than 5% of the hard luxury market is presently online, and some brands are cynical that their customers will ever want to make these sizeable purchases online. Bold moves from established houses into new areas of focus are helping drive hard luxury online. Brands that have traditionally focused on soft luxury have recently made moves to develop and sell hard luxury items in a bid to gain market share. For example, Louis Vuitton expanded out from its focus on clothing and bags to open a jewellery house with an online presence. By the standards of a cautious, conservative industry these are bold changes. In part, hard luxury is changing because soft luxury has too. Changing global consumption patterns mean there are new customers to cater to, particularly in the BRIC nations. Everyone’s fussing about how to engage younger audiences that don’t behave the same as prior generations of consumer. Brands have been softening their uncompromising price points to add lucrative diffusion brands and accessible price points to bring new consumers into the brand. Brands such as Thomas Sabo, Michael Kors, and Kate Spade are offering “affordable luxury”. It’s possible that the higher end of the hard luxury market may never move online. With so many brands now offering ‘entry level’ goods at lower price points, it’s likely that these will form the bulk of the online market. Analysts from Vontobel Bank have predicted that 20% of hard luxury sales could be executed online by as early as 2025; Bain & Company puts the figure at 25% by this date for some segments. One major barrier to any luxury brand going online is the fear of being tarnished by the association with the thriving trade in counterfeit goods online. Simply by setting up their own online retail channel, they could be helping counterfeiters imitate their practices. By moving online, brands could find themselves helping counterfeiters look more legitimate. Brands are also reluctant to jeopardise relations with their existing dealers. Many hard luxury brands sell via authorized dealers and sell only a small proportion of their stock directly to consumers via their own boutiques. Launching fully-fledged eCommerce sites under their own brand names might diminish their wholesale practices, and represent a risky change to the entire business model. For many hard luxury brands it’s too big a risk to take. For others, it represents an opportunity to control their own retail experience and deal with customers directly. 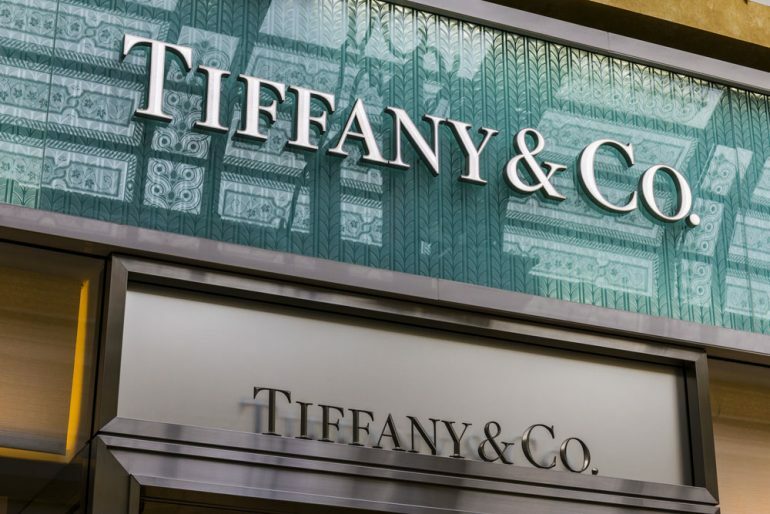 Tiffany’s online presence seems to serve to drive customers to buy in-store, rather than closing sales online. Yet British jewellery retailer Boodles is finding the average basket size online has grown over the last five years, suggesting customers are more confident buying big-ticket items online. Nevertheless, the online slice of retail is minuscule for Boodles. Innovative Chinese retailers could show us all the true path to making a success of online selling for hard luxury goods. China’s a key market for hard luxury; presently worth around $4bn with high a growth forecast. Consumers here have different tastes to the traditional European stronghold of luxury goods consumers. Chinese consumers are more open to branded fashion such as jewellery that incorporates branding into the design. They’re also a bit more open-minded about buying hard luxury items from traditional soft luxury retailers. Chinese retailers are also innovative when it comes to the shopping experience. Ecommerce colossus JD.com launched luxury site Toplife last year. Part of Toplife’s appeal is that it will courier your purchase to you in an electric car within 24 hours. It’s an attempt to combine the personalised experience of in-store luxe shopping with the convenience of online. It will also help resolve the problem of where to cite your store in a market where the customer is often a long way from major retail centres. Alibaba also has ambitions to launch a boutique-style eCommerce site for luxury retail in its Tmall marketplace. With 90% of growth in luxury car sales coming from China, there’s plenty of room to innovate in how they are sold. Luxury car sales are venturing online, with new sites like UGcars and established ones like Tmall finding new ways to sell. There are even attempts to sell them using gigantic vending machines. It’s looking as if the luxury industry will continue to undergo significant change and disruption over the next few years. Bain & Company predicts that the distribution footprint of the luxury market will evolve significantly, with an increasing mix of store formats emerging. It’s thought the trend will move away from ‘monobrand’ stores to see more department and speciality stores, such as specialist watch retailers. Some retailers that are offering customers more choice in how they shop online are starting to reap results. Burberry saw a rise in sales after adopting a ‘click and collect’ offering via the Selfridges online platform. Watch retailer IWC Schaffhausen has chosen a ‘high involvement’ approach to generate online sales, offering concierge-style services to support the online shopping experience. Change is afoot in the luxury industry. Although brands remain highly cautious, the pace of change in this sector means that adapting is essential to survival. It’s an extremely difficult time for all luxury brands, with many struggling to set a strategy to help them weather the coming years. Ecommerce could form part of the survival strategy even for hard luxury retailers.